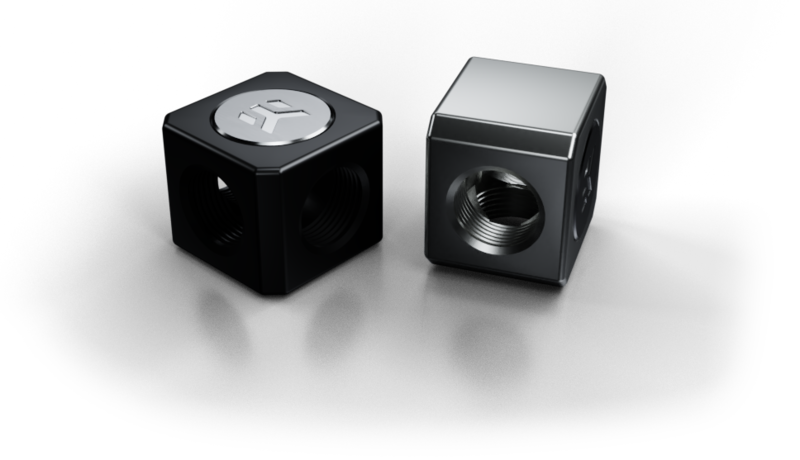 EK-AF ALU T-Splitter is a simple cube-shaped aluminum adapter fitting with 3 x G1/4" BSP threads, that makes your loop draining an easier task. Made from black anodized CNC machined aluminum. This adapter is equipped with three G1/4" ports that makes your loop draining an easier task. Compatible only with EK Fluid Gaming series products! Do not mix EK Fluid Gaming series fitting with brass, copper any other type of metal based parts in your liquid cooling loop! Do not use any tools to secure the adapter fitting into the G1/4" socket.